CHICAGO – October 24, 2017 – During the Academy of Nutrition and Dietetics 2017 Food & Nutrition Conference & Expo™ in Chicago, scientists reported on a recent study which uncovered that the intake of pistachios reduces the rise in blood sugar and insulin in women diagnosed with gestational diabetes mellitus (GDM)—commonly known as gestational diabetes. 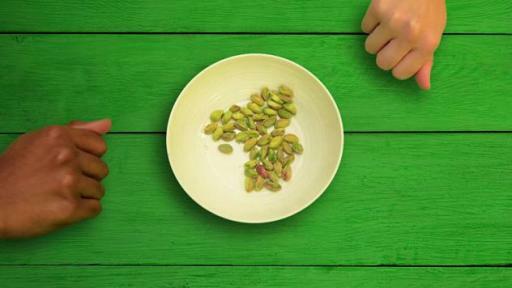 The study, “Effects of Pistachio Intake on Postprandial Blood Glucose Response in Pregnant Women,” found when women who were gestational glucose intolerant (GIGT) or who were diagnosed with GDM ate pistachios, they had a significantly lower rise in blood glucose levels compared to eating whole wheat bread that was matched for calories. For many mothers-to-be, the study offers an excellent food option that is both delicious and beneficial in managing the effects of GDM and GIGT. 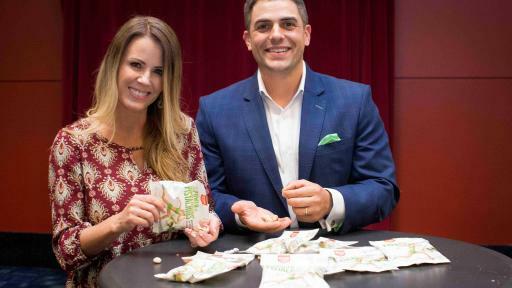 In order to further promote the study’s findings and increase its reach to women with GDM and GIGT, American Pistachio Growers (APG) has partnered with Trista Sutter, author and star of ABC’s first season of “The Bachelorette,” to speak about her experience with her own diagnosis. 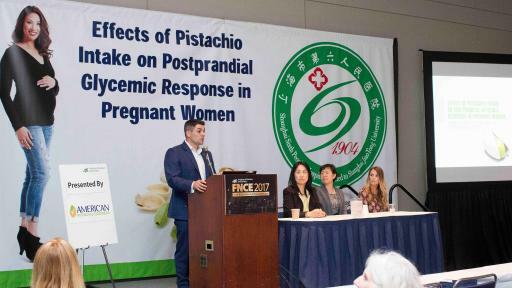 Dr. Sheng Ge, principal investigator and Director of the Clinical Nutrition Department of the Shanghai Sixth People’s Hospital, Affiliated Shanghai Jiaotong University in China, wanted to explore how pistachios could provide benefits to this group of women, since the nut is known to be a low-Glycemic Index (GI) food. 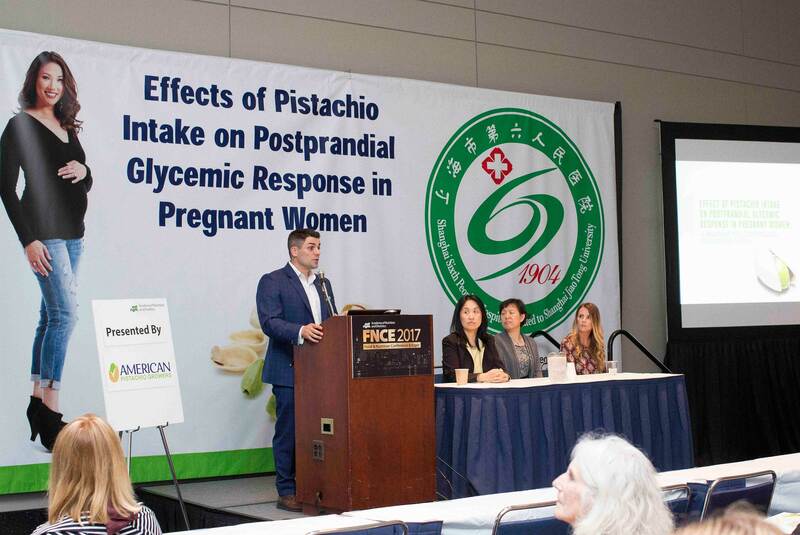 Abundant existing research suggests the benefits of pistachios in the general diabetic population, but this landmark study is the first to explore the benefits in pregnant women with GIGT or GDM. In association with Dr. Zhaoping Li, Professor of Medicine and Director of UCLA Center for Human Nutrition, Dr. Sheng researched what effects eating either 42 grams of pistachios or 100 grams of whole wheat bread (matched for calories) after an overnight fast had on two groups of pregnant women with GDM or GIGT. 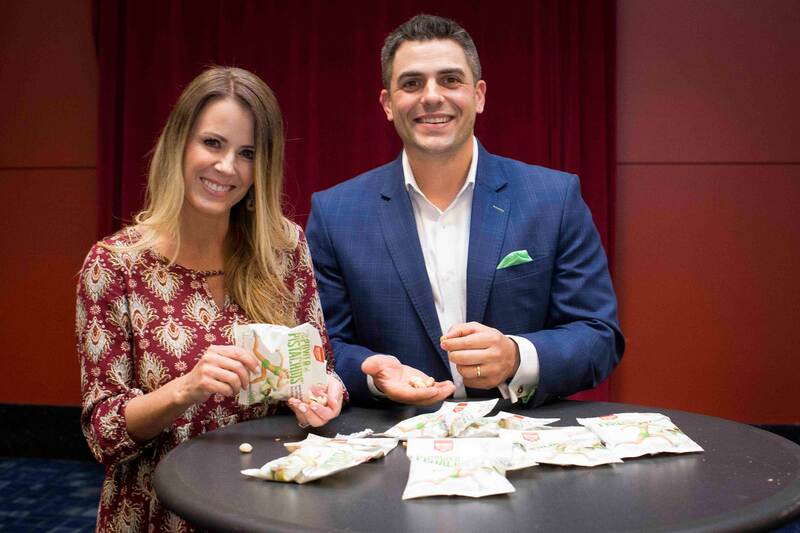 “More and more, people are turning to plant-based proteins, and pistachios check off a lot of boxes. 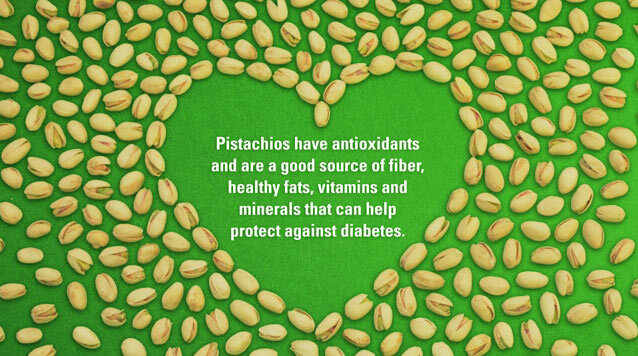 They’re a good source of fiber, B vitamins, healthy fats, antioxidants and anti-inflammatory phytonutrients, all of which can benefit people with diabetes,” said Judy Hirigoyen, Vice President of Global Marketing for American Pistachio Growers, the pistachio industry’s trade association. This study was supported by the United States Department of Agriculture (USDA) and American Pistachio Growers (APG), a non-profit trade association representing more than 825 member growers in the western U.S. Pistachios used in the study were grown in the U.S. None of the funding sources played a role in the collection, analysis or interpretation of the data. American Pistachio Growers is a voluntary trade association representing members who are pistachio growers, processors and industry partners in California, Arizona and New Mexico. 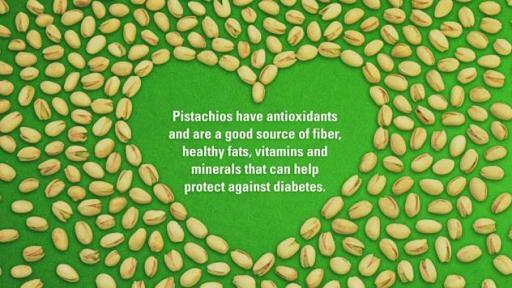 For more information, visit AmericanPistachios.org.